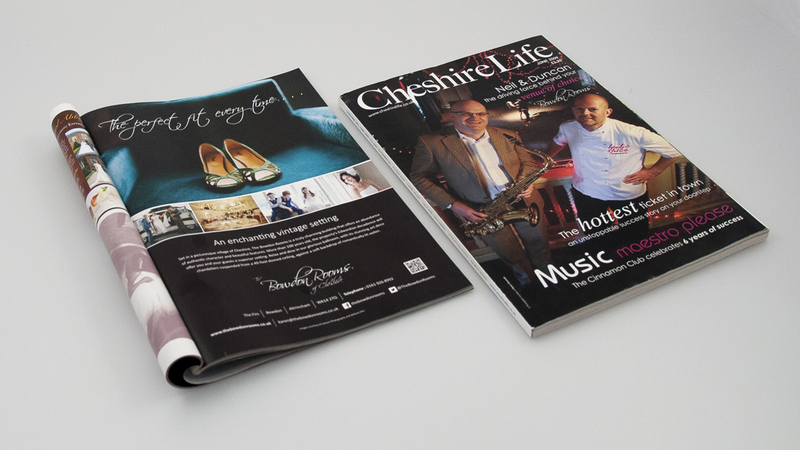 The brief on the first occasion was to create imagery for the front cover of Cheshire Life magazine. The visual concept was created & then working alongside a photographer the image was taken and then enhanced using photoshop in preparation for placement. The second advert was a double page advert to increase awareness of the uniqueness of the weddings held at the Bowdon Rooms, as part of their overall rebranding strategy.